Since February I've been working on a weekly comic strip about breast cancer, written by Deni Brown (who also writes Mama Taxi). It's hosted by PinkDrive, a charity that provides free mammograms for people without medical aid - which is most people in South Africa. 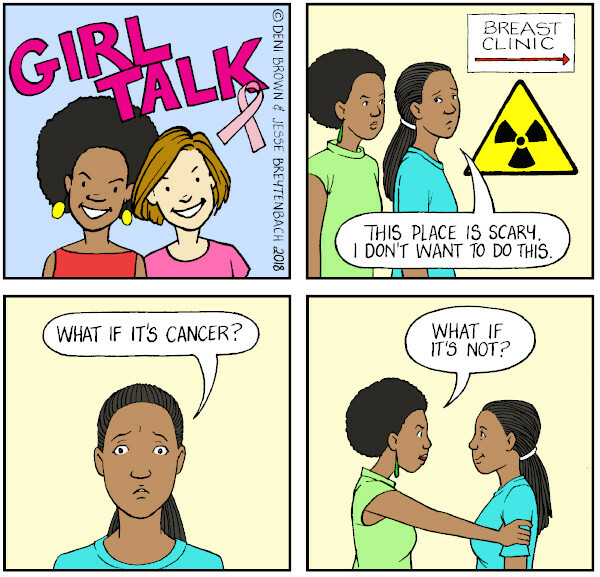 Catch up on the strip here, and follow it weekly on PinkDrive's Facebook page or Instagram.